" Mario and Marinko were an absolute pleasure to work with. We did a multi room remodel of our home while living over an hour away. Under those conditions, you need a contractor that you can trust absolutely. The Bevandas did beautiful work, kept to our tight time line, and answered all of our questions. We highly recommend them! " " We were very pleased with the job they did, involving major renovation of several bedrooms, hallways and one bathroom. The price was fair and the work very professional. The whole job took about two months, which was true to the estimate given at the beginning. The Bevandas and their crew were personable and more than willing to accommodate changes we requested. If we had another renovation to do we would definitely use them again. " "Mario and Marinko Bevanda showed professionalism, and accomplished an excellent work despite some road-blocks and unforeseen delivery delays and limitations by the building structure. They worked hard and they were always positive to have the work done. Thanks to them for their Excellent work." 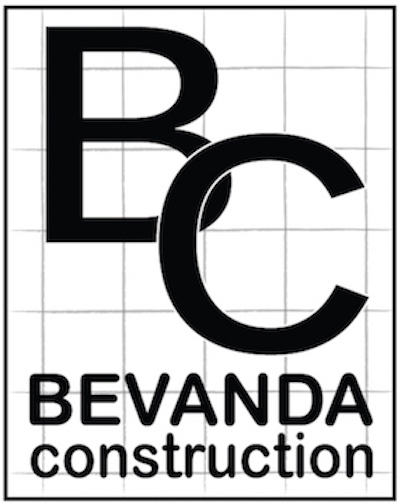 " My parents have used Bevanda Construction for a variety of extensive projects in their home for the past few years and have always raved about their work. So, when I decided to do some home improvements (painting several rooms, installing outdoor hot water source and a variety of repairs) I gave them a call. I could not have been happier with the work they did for me, and they were a pleasure to deal with every step of the way. I was not only impressed with their work but the way in which they took great care to keep my home clean and protected throughout the project! " " Mario and Marinko finished our basement and rebuilt the exterior stairs from our sliding door. Our house is about 100 years old, and the basement had many old, low hanging pipes and was very dark and dingy. They replaced all the windows and pipes, installed new electrical wiring, and made a laundry room, powder room, play room and an office. If we wanted to change something or had a new idea, they were always flexible and willing to make the adjustment. Mario & Marinko are perfectionists, so if they see something that's not right, they will fix it and make it right. They are easy to work with, always very responsive and genuinely nice and good people. The people they work with, the electrician, plumber, tile guys, are the same way. "